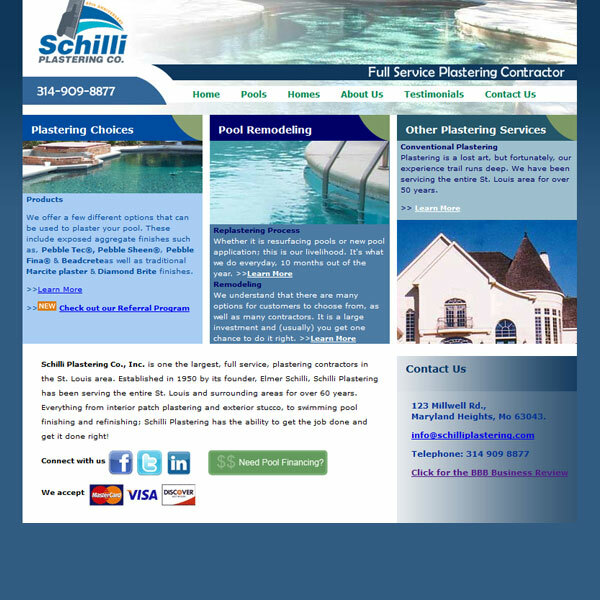 We are always thrilled when a company comes back to us for repeat business and we have worked closely with Schilli Plastering for over 13 years. During that time we have gone through a number of website redesigns. This latest site is loaded with information and photo galleries which showcase many plastering projects.